Is with great joy that we announce the addition of Bibliotecha to P-DPA – Post Digital Print Archive. P-DPA is an online archive compiled by Silvio Lorusso, as part of his ongoing investigation on digital and post-digital publication. 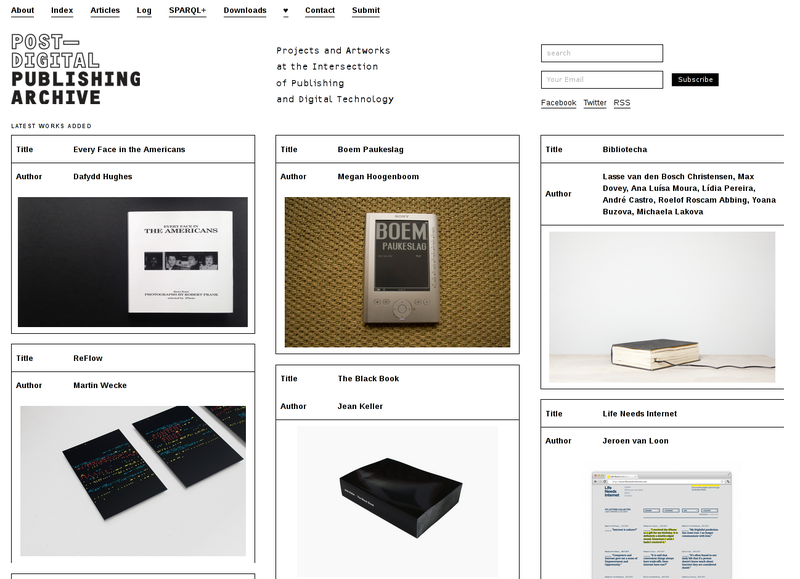 The archive is a public manifestation of Lorusso’s research, presenting a growing number of projects and artworks in the intersection between publishing and digital technology. Big kudos to Silvio Lorusso! !